As mentioned, NYC electronic festival Electric Zoo is returning to the recently restored (after Governors Ball damage) Randall’s Island from August 30 to September 1. Though much of the lineup is stuff you probably want to stay away from (like Benny Benassi, Tiesto, David Guetta, Steve Aoki, etc), there’s also a handful of people worth seeing, including Four Tet, Moderat, Bondax, A-Trak, Diplo, Baauer, AraabMuzik, Skream, Cyril Hahn, RL Grime, Just Blaze, Joy Orbison, and Scuba. Tickets (3-day passes and single day passes) are on sale now. Full lineup at the festival’s site. There have also been a number of official afterparties announced. There’s one at Williamsburg’s new danceclub hot spot Output each night of the fest. The two biggest standouts are Modeselektor and Rudimental DJing Best Buy Theater on August 31 with Delta Heavy (tickets), and Chicago house vet Cajmere (who also plays Warm Up that weekend) at Cielo on August 30 (tickets). Moderat (aka Modeselektor and Apparat) finally released their second album, Moderat II, this month, and you can stream the whole thing via a Spotify widget below. 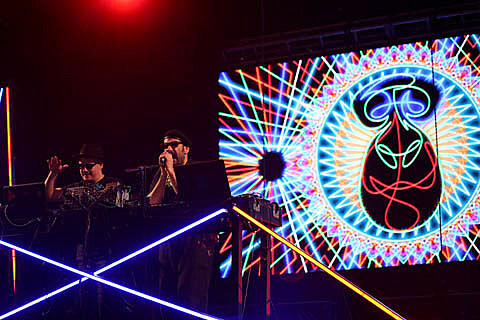 For UK duo Bondax, Electric Zoo and Chicago’s North Coast Festival (which a bunch of other Electric Zoo artists also play) are their only two North American gigs at the moment, after they recently cancelled their appearances at Warm Up and Camp Bisco, which they would have played in July. Check out their recent single, “Giving It All,” below, or download it above. The PMR-signed Cyril Hahn will also return to NYC when his tour with Ryan Hemsworth hits 88 Palace on October 5.